Hey There….December is almost over….So I’d better hurry up and share this December block with you! 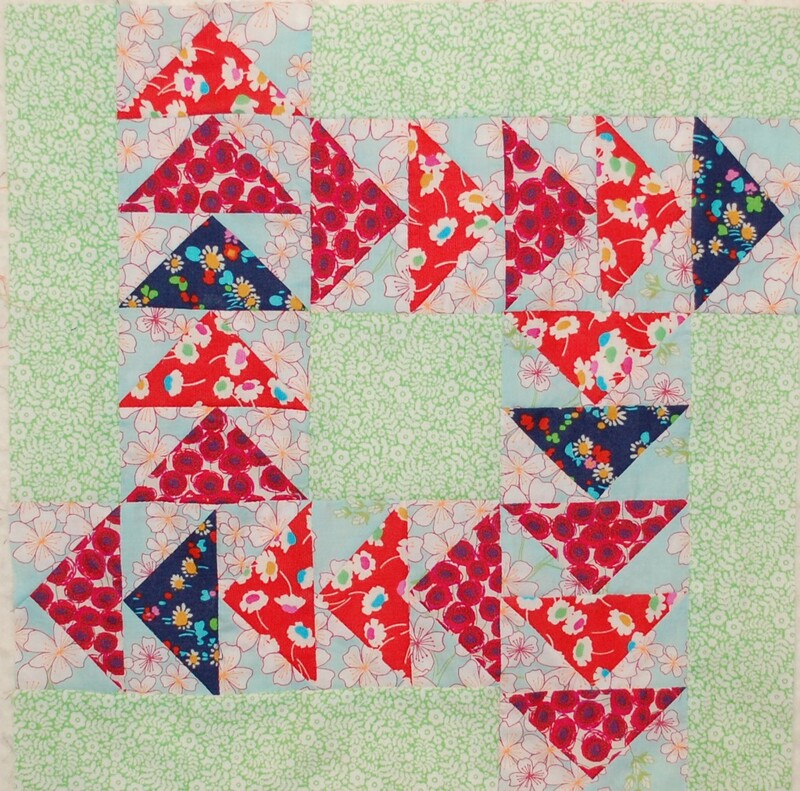 Here’s the last installment of the Aurifil Designer of the month 2014 series. 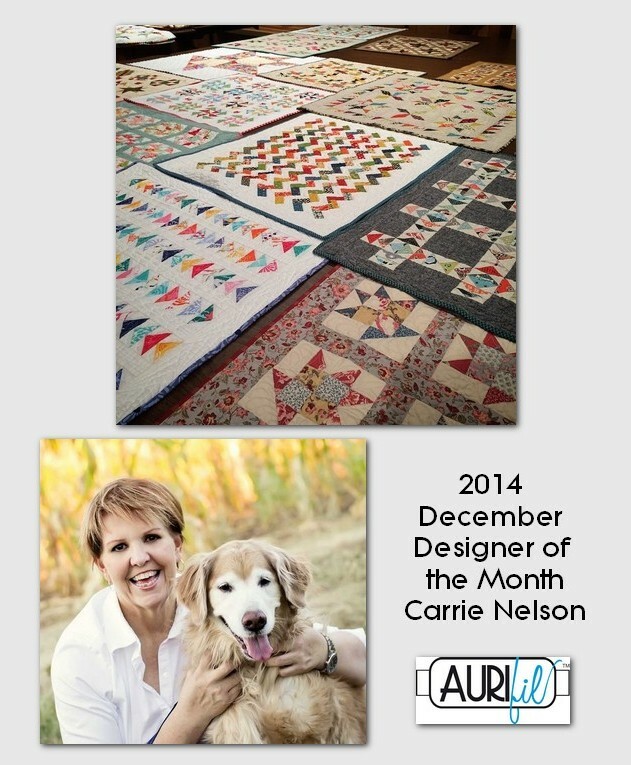 This month’s designer is Carrie Nelson. You can read all about Carrie here in her interview with the incredible Pat Sloan. I thoroughly enjoyed it myself…and I have to totally agree with her on her “favorite” color….. 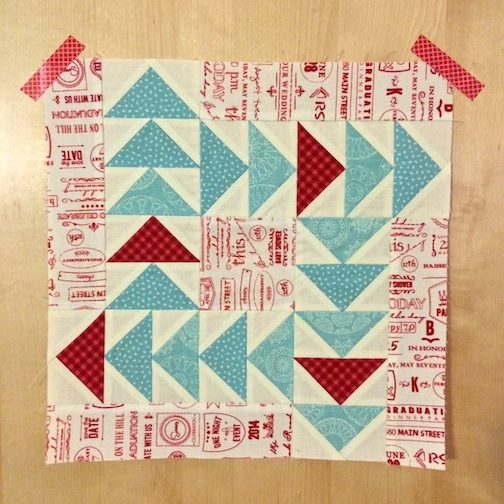 Here is her block, Not Afraid of Flying, and you can get the directions here. And here is my version of Not Afraid of Flying using Liberty prints and more of Valori‘s Wish Voile. 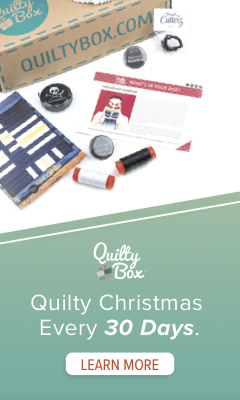 Remember there is still a little bit of time to get your December Block done and posted here on Flickr for the monthly drawing of a big box of Aurifil thread ($120 value)! 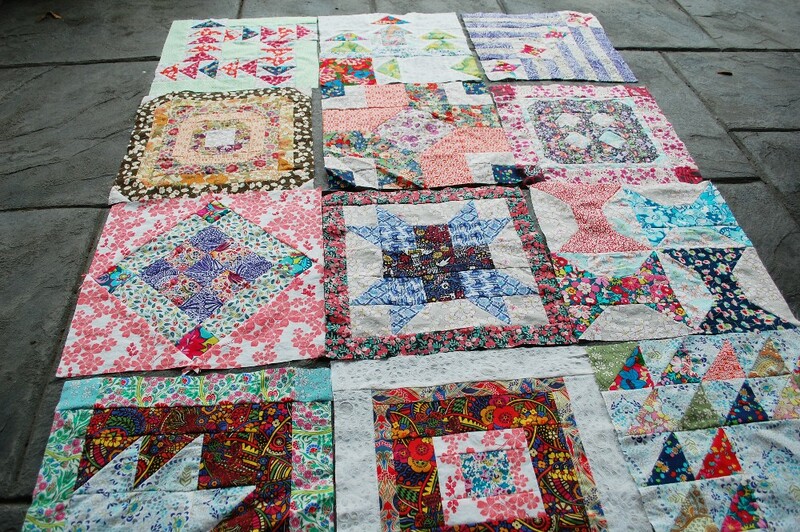 It sure has been fun being part of the Aurifil Designer of the Month Crew this year! 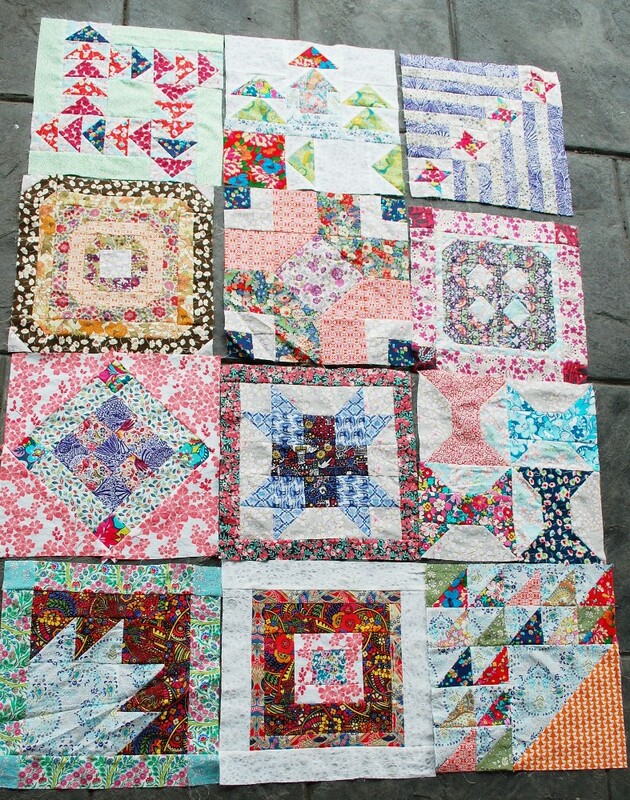 Here are all of the blocks that I made for the year in the Liberty and Wish and few other fabrics. I apologize for the lighting and the fact that I snapped these pictures really quickly and didn’t take the time to press those blocks that got a little wrinkled in storage. I am pretty excited to put these together. 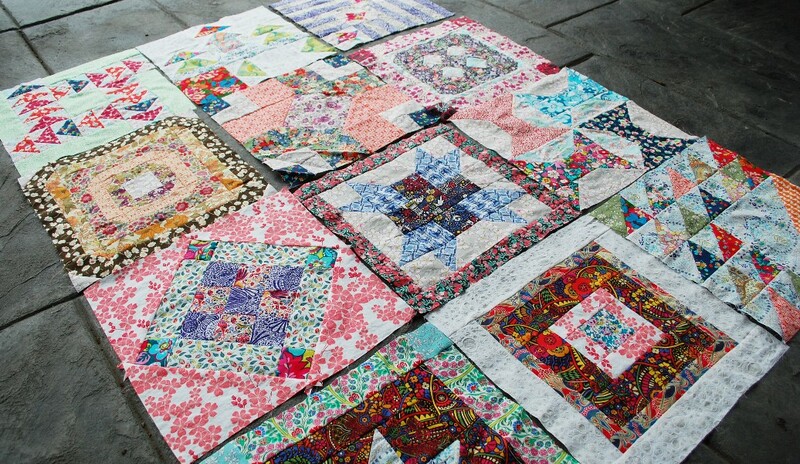 I have got a plan all laid out using part of quilt designed by my friend Alexia Abegg that I will show you later in the New Year. Scott your blocks are AMAZING!! Totally love how they turned out! 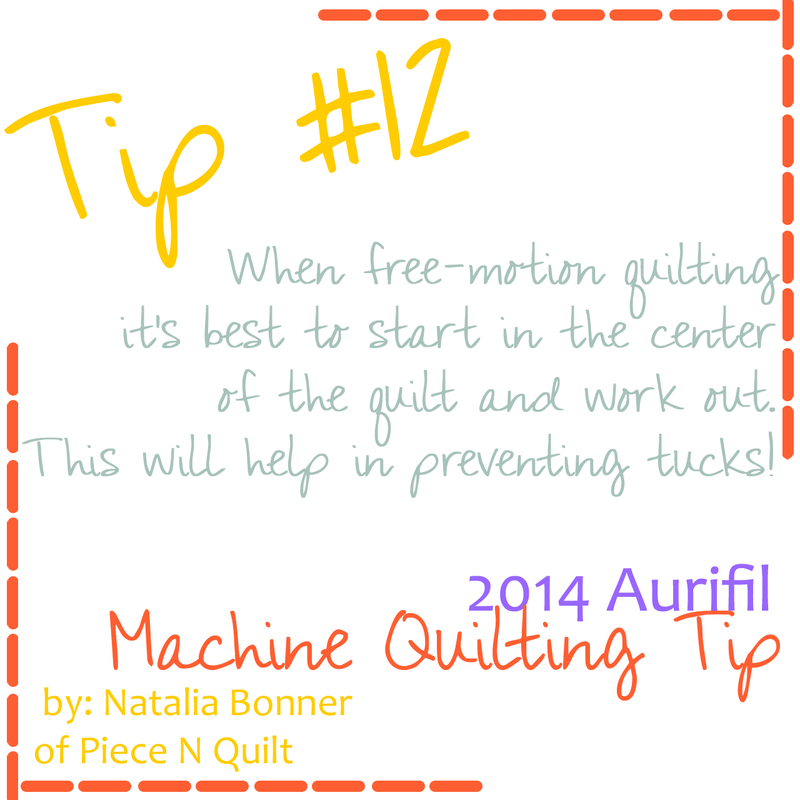 Thank you for being part of the Aurifil team this year!